Sorry, this item is now out of stock for the rest of the 2018 season. Re-stocking date March 2019. 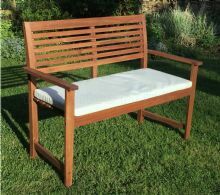 The Henley 3 seat garden bench manufactured from tropical hardwood. This beautifully crafted bench is ample sized to seat three people in comfort and is finished in an oiled hardwood. 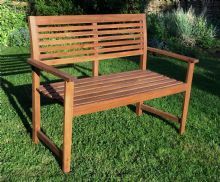 This super sturdy bench is a great addition to any garden or simply for someone who loves to sit outdoors! With the fantastic Your Price Furniture Half Price Deal + FREE RAPID Delivery* available on this item, you could be sitting on this lovely bench as soon as tomorrow! Please note that simple home assembly is required.